A & J Pest Control has been serving the Central Illinois area for over two decades. We are family owned and operated, and have experience in both the residential and commercial markets. 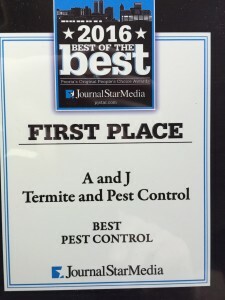 What Sets A & J Pest Control Apart From the Rest? Want to learn more about these eco-friendly treatments? You can ask us here! Our team is full of pest experts! Whether you have a termite infestation, a trail of ants, a cluster of spiders, or a pack of rats, we have the pest solution for you! Do you need help identifying the uninvited critters in your home or business? Check out our “Bug-o-Pedia”! This is the perfect tool for helping clients identify their pests and for learning more about the many different types of bugs! What type of bug do you want to learn more about? Bed Bugs are on the rise these days. The bed bug got its name because they are commonly found in beds. However, they can be uncovered elsewhere, such as hotels, airplanes, or couches! These critters are typically found in small cracks and crevices. If you have a bed bug problem, call us today! There are 12,000 different kinds of Ants out there that can invade your home! The only areas that lack indigenous ants are Antarctica and remote or inhospitable islands. Do you have a trail of ants trespassing on your property? Then contact us today! So you found a web of spiders in your residential or commercial property? Usually, you will encounter the common house spider, which is found worldwide. Maybe you found the Brown recluse instead, or one of the other many varieties of spider out there. When you find a web, don’t fear! Contact our experts for an appointment right away. 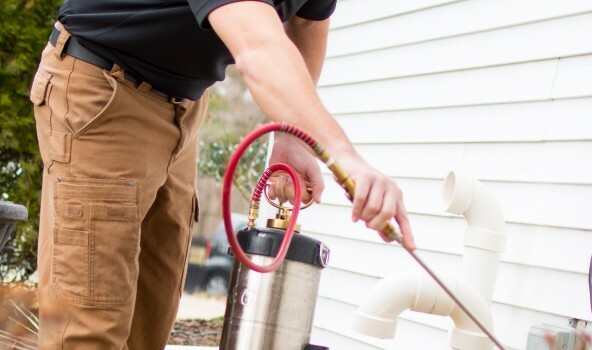 These are just some of the bugs we can eliminate from your home or business. Please visit our Bug-O-Pedia page to learn about the other types of pests we can control as well! We are pleased to announce we won Journal Star’s The Best of the Best 2016. The Best of the Best is the original people’s choice award that celebrates the Best of the Best in businesses, organizations, people and more. Don’t let pests invade your commercial or residential property! A & J Pest Control offers many pest control treatments and can find the best one for your home or business! We know that each pest control problem and each property is different, and we don’t give every job the same treatment. Work with the Central Illinois pest control company you can trust. We accept all major credit cards and we require no annual contracts! Contact us online or call 309-360-7422 to request your appointment today! Jack is Co-Owner and operator with over 10 years experience in the pest control industry. You can count on Jack to get the job done! Adam is a lead technician and has been in the service industry for over 10 years. You can count on him for all your pest control needs! Dan is the Owner of A&J Pest Control with over 30 years of pest control experience. Dan & his team are ready to help you when pests come crawling!